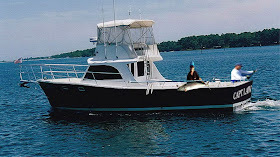 Captain Law grew up in Panama City and has twenty years local experience as a US Coast Guard licensed charter operator. Captain Law has invested years into developing his envied secret fishing locations that ensure you a quality salt water fishing experience. Your accomodations for the day , the 43' Captain Law, is state of the art, diesel powered with modern electronic equipment, fish finder, ice machine, air conditioned cabin space with microwave oven and a spotless rest room all for your comfort while landing the big ones. 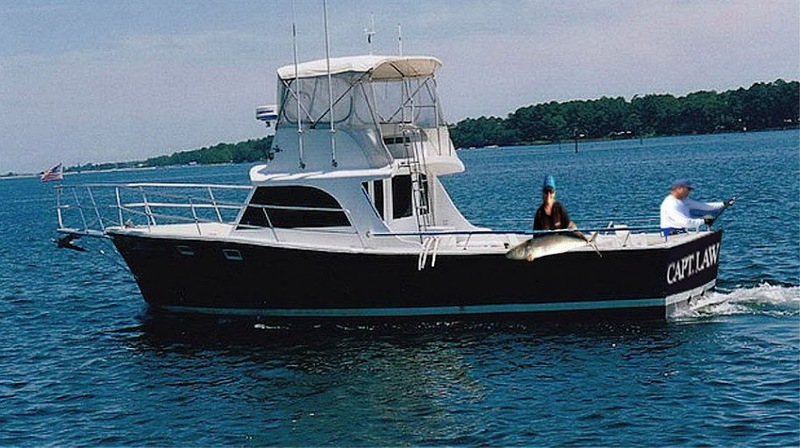 The boat can accommodate a maximum of 6 guests with all rods, bait and tackle, ice and expert assistance provided. Guests should bring snacks and drinks, sun screen and a spare cooler to stow their catch of the day .